Dhiraj Mukherjee is the Co-founder of Shazam, and an experienced digital business executive with a proven track record in both corporate and start-up environments. Recognised by the Financial Times as one of Europe’s Top 50 technology entrepreneurs in 2015, and elected a member of The Digital Banking Club’s “Power 50” in 2016. 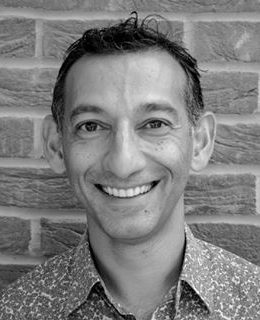 Dhiraj was previously Head of Banking Innovation at Virgin Money, where he was responsible for developing new digital banking services, including one aimed at serving 2.2 million students in the UK. In the course of his career, Dhiraj has held directorial roles across a range of sectors including media & entertainment, consulting and the charity sector. In 2000, Dhiraj co-founded Shazam Entertainment, the world’s first mobile phone-based music recognition service. He was a Director of Shazam from 2000-2003, and raised £600,000 in seed funding and over £10m in venture capital investment over three rounds. Shazam was acquired by Apple in 2017 for a reported $400 million. Dhiraj is now an active angel investor focused on emerging technologies and “Tech for Good,” including several start-ups leveraging AI to help create a better society. “Dhiraj was a fantastic speaker for our business event. He captivated the audience with his story of how he co-founded Shazam and its further journey to success. Dhiraj was personable, authentic and funny. His warming and inspiring approach ensured he had a queue of motivated attendees to speak to after his talk!” – Project Manager, O2 Scale Up, 2018.